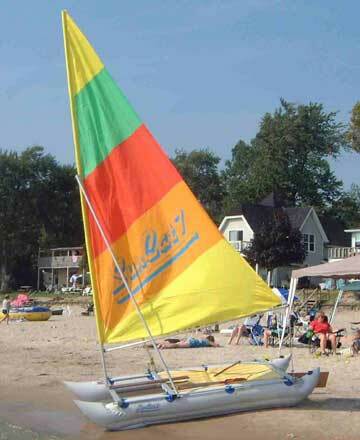 This is a cute little inflatable sailing toy that is perfect for the cottage and the kids. It is in near new condition and a whole lot of fun. Easy to set up and to store. And oh..by the way..it sails pretty well too. Please go ahead and mark this as SOLD after one day. Your site is the best!!!! Now if I could sell my Catalina 22 you have listed for me life would be grand. The key is to ensure to be offering a boat that is well worth the money...always works for me.